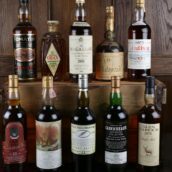 After the positive response I got from my last blog post on the positive whisky stuff happening at the moment – and because I’m a person with a generally sunny disposition (once the sun’s over the yard-arm at least) – I thought I’d continue with more reasons for the whisky world to be cheerful. And, I’m delighted to report, this week there are several. In fact, summery feelings of well-being and mischief seem to be somewhat contagious in the blogging community at present. Followers of Whiskyfun.com will already be aware of the stunning arrival of Glen Wonka, the world’s most expensive faux whisky, endorsed by the amusingly pompous and pretentious (yet somehow eerily familiar), Angus W. Apfelstrudel Jr., the hirsute author of the Whisky Tora. 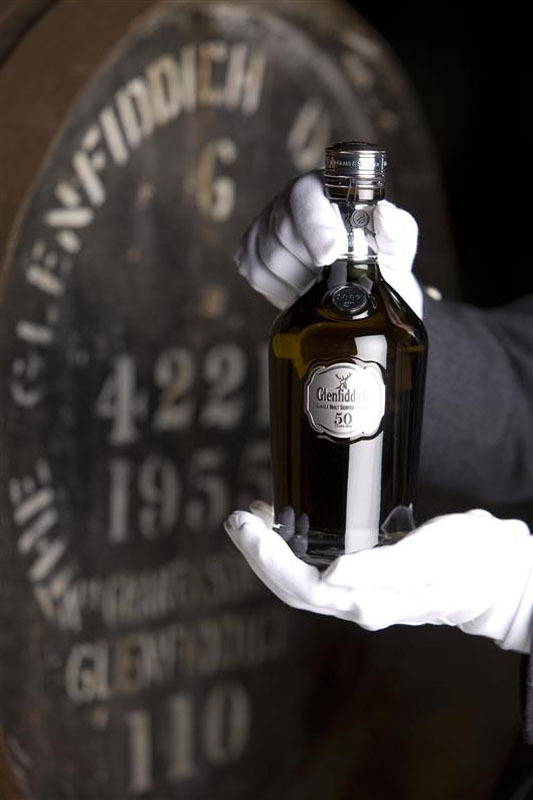 Understandably, the arrival of Glen Wonka has irrevocably changed the whisky map and totally overshadowed the release of some bog-standard Glenfiddich 50yo, available to the paupers for a paltry ten grand. Bungling PR flunkies who sanctioned the release of this sludge in the same week as Glen Wonka have been hurling themselves from upper floors of the Grant’s building since news of the clash broke yesterday morning. 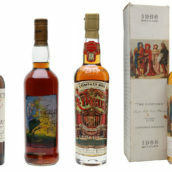 Meanwhile, over on the Scotchblog, Kevin Erskine has unveiled the nascent scribblings of Angus W. Apfelstrudel’s worst nightmare – a trio of merry piss-takers going under the name Maltimposter, who are deriding the overblown tasting notes that apparently crop up on the internet from time to time (not here, honest, guv). These Simpsonised troubadours have published just a few posts so far (that Bowmore fans are advised not to read), but are well worth checking out for a chuckle, and will hopefully give those of us given to verbose flights of fancy (ahem) a much-needed kick in the pants (as our American friends say). Click on the link below to download the file – it’s just like being there yourself (in a helicopter). Sincere respect and thanks again to bgulien for this excellent resource (especially for geographically-challenged dunderheads like myself). “We urge our fans to drink a lot of Welsh whisky as a form of disinfection. That should cure all symptoms of the disease”. Penderyn have so far been slow to seize upon this sumptuous PR opportunity, presumably either through not wanting to emphasise their product’s perceived disinfectant properties, or because they’re waiting for conclusive proof of this incredible medical breakthrough before issuing the press release. Sticks and stones may break my bones, but names will never hurt me. 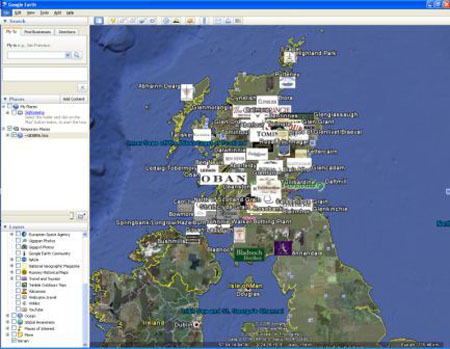 Also, it is regrettable that that measly website called Whiskyfun.com (but where’s the fun, I ask you?) 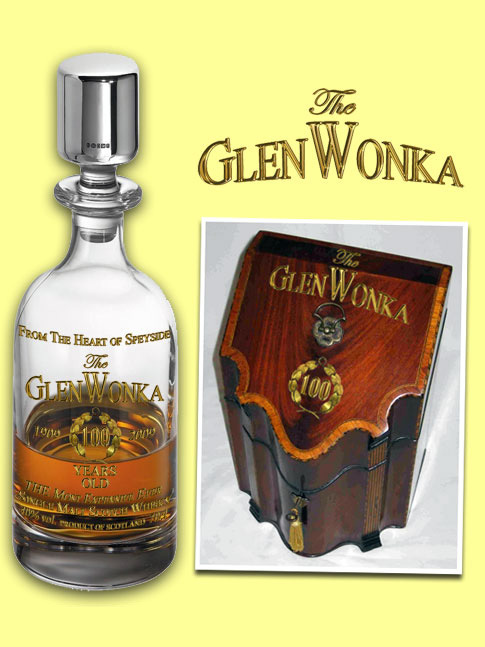 was prone to publish our press release regarding our acclaimed new The GlenWonka 100 years old, whilst suggesting that a price tag of £1,999,999 was excessive. Poor souls!